Over the past week the Students’ Union has become aware that there is a misunderstanding regarding the liberation groups that we have recently set up. We have compiled a list of statements and questions voiced by students and have provided a response which will hopefully give everyone concerned more clarity on the situation. 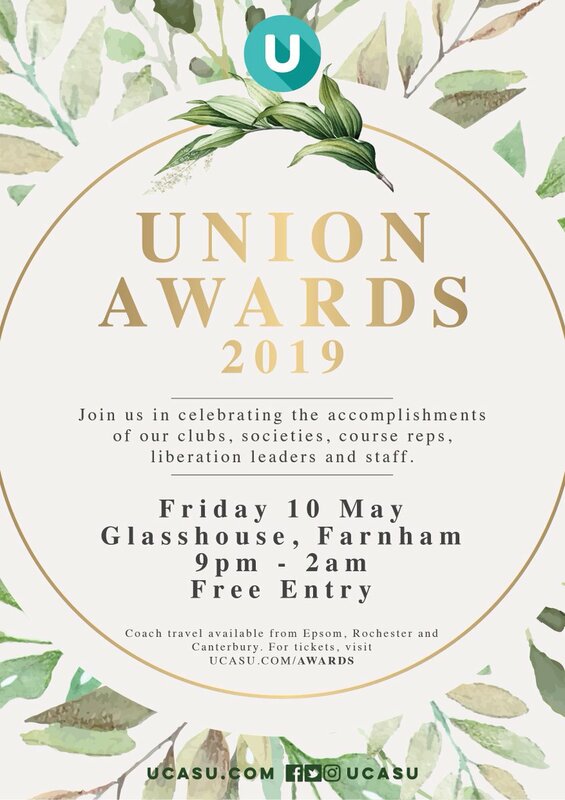 This statement has been informed by a thread from the UCASU Farnham Freshers Facebook group. We understand that this statement is not exhaustive, we are simply hoping to address the criticisms we have received thus far. UCASU is changing. Over the past year we have researched and developed a new governance structure that intends to gives all students the opportunity to shape their experience at UCA. We have created the liberation groups as well as the campus and academic forums which all students can attend. This is an ongoing process that we want to have open discussions about. The liberation groups are not about segregation, they are part of a wider plan to hear your ideas and create exciting and diverse student communities. We want to change the culture at UCA, so that every student feels not just included but empowered. You run the Students’ Union. We want there to be multiple platforms to hear what you have to say. Liberation groups are so important because research shows that women, people with disabilities, LGBTQ+ people, and BAME (Black, Asian and Middle Eastern) people are less likely to raise issues that affect them in a general student space because they feel like they won’t be understood. TL;DR: Liberation groups are a common part of many students' unions, and NUS. In March 2015 students voted to start them at UCA, these groups are owned by students; who decide what they are called and what their function is. If you feel you're not being represented please come along to your campus forums or speak to your Campus President. "As an openly gay man who has worked in universities for his whole career, I both support our SU's commitment to the liberation campaigns they have identified and understand the need for this focus. At the centre of creativity is the need to engage with the complexities of all forms of difference and diversity, which is not always easy and absolutely requires a combination of 'safe spaces' for those who identify with particular groups, causes and identities, alongside places and events when all our differences can come together. I would urge all students and staff to support the SU in this work." Not allowing allies to attend for support is unfair, everyone should be allowed to attend. Each of these groups exists because women, people with disabilities, LGBTQ+ people, and BAME people still, even now, face marginalization in British society. For example the pay gap still affects not only women but also people with disabilities, LGBTQ+ people, and BAME people. If you think about managers at places you work, or even our own university how diverse are the people at the top? In the top 100 highest grossing companies in the world only 7 of the bosses are women, and only 4 are from BAME backgrounds. The liberation groups are entirely separate from societies. While both can be safe spaces for people to discuss issues that affect them, societies are open to absolutely everyone and liberation groups open only to people that belong to that group. Therefore allies are welcome to join societies. Some societies might also act as spaces where people can come together and learn about other peoples’ cultures and experiences. The liberation groups are only for people who identify with the group, because the issues they face are often unique to them. This allows the people who attend to speak openly about these issues without holding back; some students have stated they wouldn’t be able to speak about certain issues openly if a person who didn’t identify with them was present, so although it’s great to have allies, it is also essential to know how to be a good ally and support where appropriate. We want to make UCA the most fair and positive environment it can be; these groups allow freedom to discuss sensitive issues and decide how UCA and UCASU can best support and address them. The groups are a place to organise debates, discuss issues, socialise and plan events (some of which will be open for all students to attend regardless of identity). If the groups choose to put on events or campaigns open to all students, allies are able to show their support and are encouraged to do so. The point of these groups is to be decided by the people in the group. If they choose to organise educational events, all students may be invited to attend. There is nothing stopping you researching it in your own time; it should not be another person’s responsibility to educate you about their culture. Some students have voiced their concern that they would not be able to speak honestly and openly if a person who didn’t identify with them was present. We understand that not everybody feels this way, however we have to respect the fact that some students have made us aware of this. Providing a space for particular groups of students – informal gatherings which are completely non-compulsory – cannot in any way be compared to forced segregation. We acknowledge that the word ‘liberation’ may put people off joining the group and are happy to change the groups to a different name if the liberation groups wish to do so. As with BAME students we chose the name based on the National Union of Students’ campaigns. These four liberation groups are just the start and it is likely we will need to set up more groups in future (for example some people have suggested setting up groups for Jewish and Muslim students). The governance structure that you voted for set in place these four groups, in the future more groups could be created once we know what you want and how it works. If there are groups that you feel we are lacking then please pop into the SU to speak to your campus president. If you do not define into any of the liberation groups you can get support from the union by speaking to our Advice and Representation Coordinator who is independent from the university and can give advice in difficult situations. There are also counseling services booked though Gateway Services in the library. If you feel you need a safe space because you are being bullied there are a number of university staff who are ambassadors who you can talk to about bullying specifically. Both the university and Students’ Union take bullying very seriously. As previously mentioned there are also the Campus and Academic forums which all students can attend and discuss issues related to campus or academic life. Since these groups have been requested by students we feel that they are necessary; we would be failing these students if we ignored their need for them. The groups are absolutely not compulsory, and are there for those who want them. Talking to people that can relate to issues you may face that also may face them can be very therapeutic. The point of these gatherings is to start making change. So we can help you! Whatever is brought up in the gatherings can be worked on as a team to find possible solutions and then the Students’ Union can take them to the correct people within the university to make those changes happen. Not only can you help yourself in these gatherings but you can help future UCA students as well. During the aforementioned Facebook thread, one of the Campus Presidents responded to a student’s comment with a brief prepared statement that was unfortunately confusingly worded. We apologise for the wording in this comment, this was a simple grammatical error. We did not intend to say that these groups are a disadvantage to society, we intended to say that they are disadvantaged within society. The liberation groups are a space for women, students with disabilities, BAME students, and LGBTQ+ students (or any combination of these). These four groups are specifically recognised as liberation groups who face significant economic, political, or social disadvantages (also physical disadvantages, in the case of some disabled students), more so than those who don't define into any of these groups. One of the first things discussed within the Black Students’ first gathering was what they would like the name for the group to be. The student group formerly named ‘Black Students’ group’ has since voted to change their name to BAME Students. The group was previously named based on the National Union of Students’ liberation groups. The National Black students campaign voted again this year to keep their name as the ‘Black Students’ campaign’ after having a similar debate. Why are there LGBTQ+ /BAME groups when there’s already an LGBT+/Afro-Caribbean society on some campuses? As stated before with regards to allies attending, a liberation group and a society are different. A society is an open space where people who identify and allies can come together as one to learn and meet new people. The liberation group is only for people who identify so that they can have a safe space to discuss issues around the university with people who also might face the same/similar issues. The reason allies are not allowed is because some of the subjects are sensitive and some students would prefer to discuss with people who can directly relate and empathise. We understand that in the wake of Brexit there are increasingly complex challenges in international students’ academic and personal lives and this is something we are striving to combat. One of our aims is to create community across UCA, therefore, we are here to support and integrate international students on all the campuses and to make sure they get an equal experience. Stand by U is a campaign that we will launch later in the year, as we strive to create an inclusive environment for all students, regardless of where they are from. We are currently working to mitigate the discrimination some international students’ might face, potentially by starting an international students’ group or by investigating more specific support the university might be able to provide. A white student will not face the same issues as a BAME student; this is a fact and is supported by the research carried out on UCA campuses last year which focused on BAME students’ experiences. As the Students’ Union we recognise that some BAME students’ face specific issues at university such as a curriculum dominated by white artists and academics, on top of the fact that there are very few BAME staff at UCA, so when there may be an issue a BAME student is not comfortable speaking about to a white staff member that student would have no staff support. UCA Students' Union is here to support you in any way that we can, if you have any questions please email [email protected] or come into your SU office.